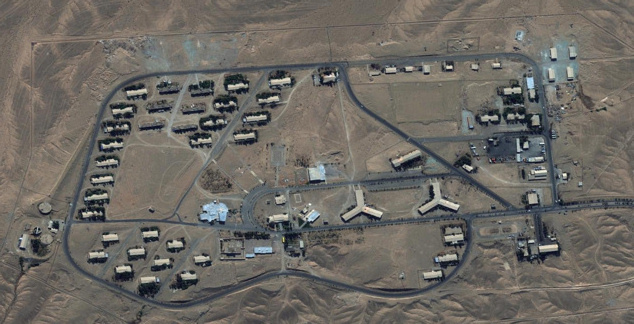 The Badr base, a center for air defense which has about 50 underground missile silos housing Iran’s Shahab 3 ballistic missiles, serves as Iran’s second-largest missile-launching site, and is under the control of the Revolutionary Guards. The base’s command and control are connected to other bases in Noje, Hamdan, Shahid Doran in Shiraz and the country’s air traffic control centers in Tehran, Birjand and Bandar Abass. Last year, the Revolutionary Guards aired footage on Iranian TV showing commanders along with a reporter travel via private jet to the base to observe a test launch of a Shahab 3 from an underground silo. At that time, Brig. Gen. Amir Ali Hajizadeh, the commander of the Revolutionary Guards aerospace division, claimed that by placing the ballistic missiles in underground silos, the country is preparing for asymmetrical warfare, which will allow the country to stand up to more powerful enemies. Asymmetric warfare is war between belligerents whose relative military power differs significantly, or whose strategy or tactics differ significantly. Hajizadeh last September warned Israel that the Islamic regime would launch a pre-emptive attack if it felt its enemies were preparing to attack Iran. The regime holds one of the largest ballistic missile arsenals in the Middle East and, as reported exclusively on WND, with the help of Russian and North Korean scientists, it has developed eight microbial agents, including anthrax, plague, smallpox and SARS (severe acute respiratory syndrome), with some of the microbes genetically altered to leave the world defenseless against such an attack. Iran has 170 missiles targeted at Tel Aviv from underground silos, some of which are armed with biological warheads, according to another source who served in Iran’s Intelligence Ministry and who recently defected. The first source said the Semnan ballistic missile base is surrounded by many smaller bases that provide training to the support forces from the Badr and Khatamol Anbia brigades. 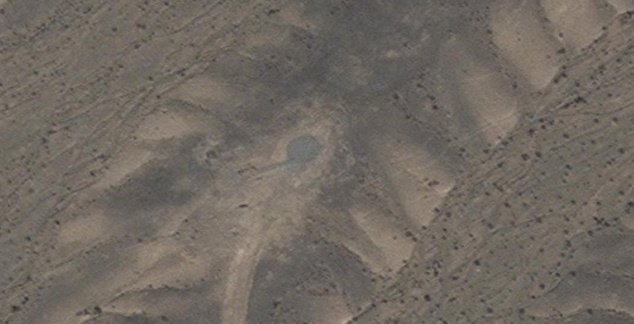 The base and the surrounding bases also serve as the center for the regime’s aerospace activities, including the launches of Safir missiles that successfully placed satellites into orbit. Those launches are part of the intercontinental ballistic missile program. Brig. Gen. Larimi commands the missile base, with Col. Ahmad Reza Azizi in charge of security and protection. The Guards have mapped out an extensive list of U.S. bases in the Middle East to attack with their missiles in case of a confrontation over the regime’s illicit nuclear program, disrupting the movement of U.S. forces and the operation of the U.S. Air Force, which the Guards believe will be the main thrust of any attack by America. In their preparations, the Guards have also drawn up plans to disrupt the oil flow from the Persian Gulf. They know that about 20 percent of the world’s oil and the majority of oil exports of eight countries in the Persian Gulf pass through the Strait of Hormuz, a narrow waterway that could be blocked by the regime’s forces. 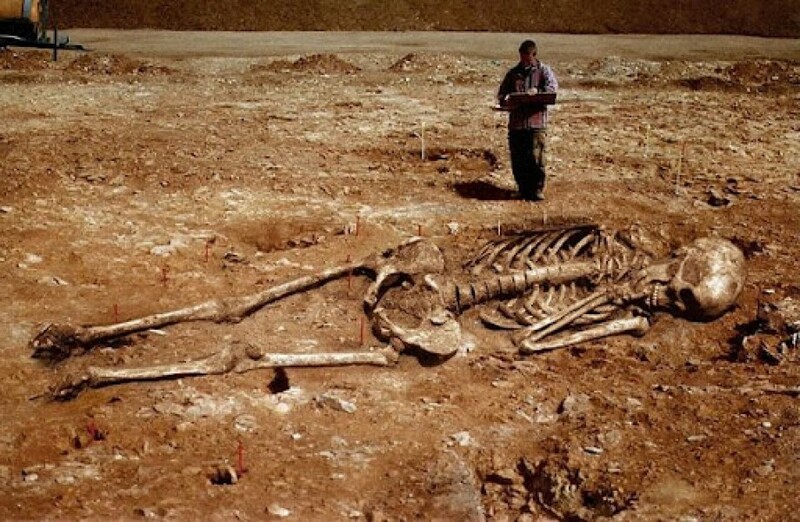 The Semnan base, the source said, serves as a key role for that purpose with its capability to target Israel, U.S. military bases in the region and targets in the Persian Gulf. The source warned that the regime will not give up its pursuit of the nuclear bomb and therefore is preparing for war and that the time wasted by meaningless negotiations has only empowered them with their preparations, which will engulf the region and collapse the global economy. WASHINGTON — The success of American drillers in coaxing fossil fuels from shale rock has the potential to boost production so much that it may deny OPEC the power to set global oil and gasoline prices, an intelligence advisory panel concluded. Rising domestic production from hydraulic fracturing is expanding U.S. supplies, which would shift the balance of power in global energy markets, according to the report by the National Intelligence Council released Monday. The council, an adviser to the director of national intelligence, publishes a report every four years to aid policymakers’ long-term planning. As the United States adds supply, the Organization of Petroleum Exporting Countries’ influence over prices would wane, according to the report that echoes previous studies that project benefits from a drill process also known as fracking. “In a tectonic shift, energy independence is not unrealistic for the U.S. in as short a period as 10-20 years,” the report states. Obama does not want to help the American Economy…. Obama’s solution is to stop the drilling…. The American tradition of red barns came from a 17th-century wood-preserving paint made of milk, lime, red iron oxide and linseed oil.